When performing this service, we ensure that any customised data from the card and the attached paperwork are carefully matched to ensure your cardholder’s information remains confidential. We complete this with both intelligent and blind attachment facilities (see High Speed Attachment for more details). 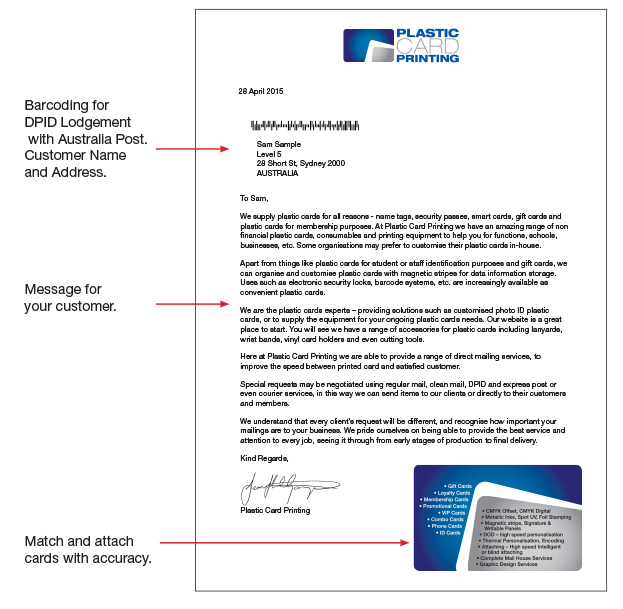 Typically, a matching operation will be followed by a direct mail-out to a client’s members or customers. This provides a fast, accurate and professional service on behalf of your clients.